Our appraisals are completed consultation style and we invite you to be part of the process. 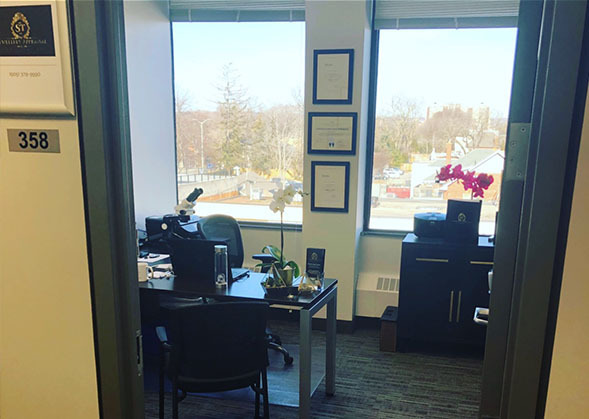 Our private office offers a comfortable environment. We welcome you to enjoy a specialty coffee, tea, or our luxurious gem water during your visit. We have invested in specific tools that allow our clients to see their gems and jewellery up close and personal. Having your appraisal completed in person allows you to ask any questions that you like. We love to hear the sentiment and stories that go along with your beloved jewellery items. The first step is to determine why you wish to have your jewellery appraised and which appraisal format suits your needs. Different valuations and formats are used depending on the type of appraisal. Fee’s for your reports will be discussed at this time. Your jewellery items are inspected for damage or loose gems before the appraisal process begins. Each piece of jewellery is carefully cleaned in a safe solution and receives a spa treatment in our ultrasonic machine. 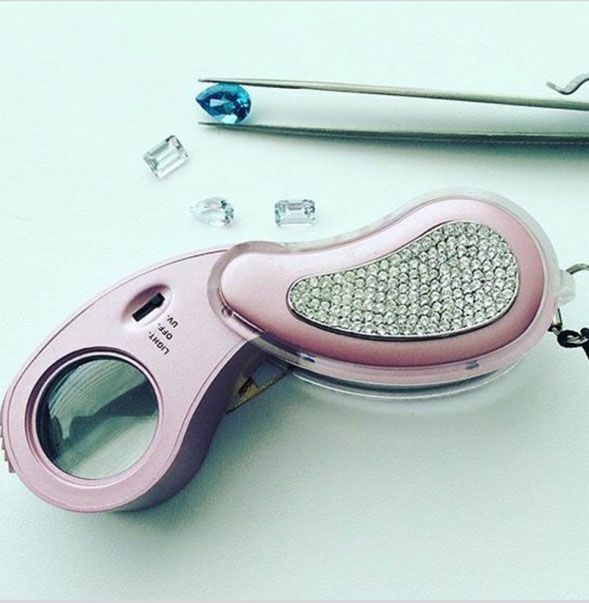 This allows us to view the items more clearly under magnification and you will leave the appointment sparkling! Your jewellery will go through the grading process. We will perform different tests depending on the item. Each appraisal document will have a clear colour image. You also have the option to add a macro image. A macro image will photograph your gem at 21x allowing you to see the facets and inclusions as they would appear under a microscope. The value is calculated based on the information gathered during the appraisal process. In many cases, you can leave the appointment with your documents in hand. Please note some items require more research and those items may take longer for the report to be produced. You may take your items home with you while we do the necessary work required to get you an accurate valuation for the correct market. Each cover letter is addressed to you and will outline the number of items and the total value of items appraised. It will state the purpose and function of the appraisal and state any limiting conditions. You will receive a signed appraisal document with stamp. We will also include a photocopy for your insurance company or safekeeping. Please note appraisals will not be sent via email to eliminate the possibility of alteration and in effort to keep all client information and appraisal information as confidential as possible. Within 3 years reprints of an appraisal can be provided for a $25 fee should you happen to misplace it. Beyond 3 years an appraisal update is required. If additional references and research were used to arrive at the final valuation we will include this information in your appraisal package. The smartest and fastest diamond tester in the world that designed for smart testing or natural earth-mined colorless diamond (D-J) type la, lb from lab created or synthetic type lla, llb / CVD / HPHT. It has the ability to test both mounted and loose colorless diamonds. Advanced technology that measures a diamond’s UV light transmittance ability.Tests on diamonds within a range in dimension from 2 mm in width and up to 6mm in height (approx. 0.1 to 10 carat size) loose or mounted with open back settings. This machine is used for the detection of synthetic diamonds. 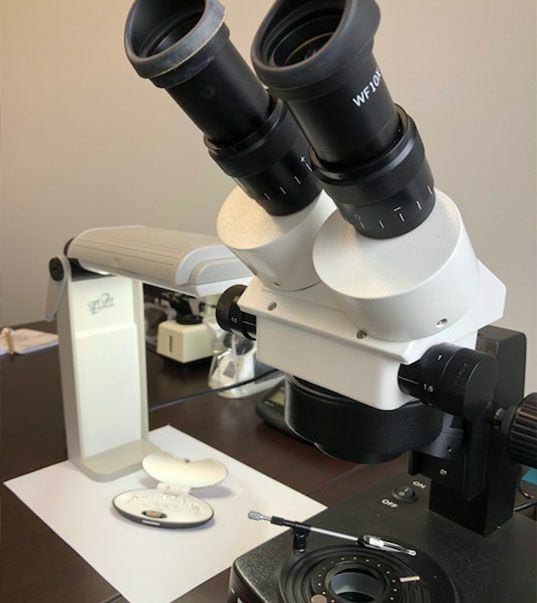 In addition to tools, every professional lab should have an extensive collection of textbooks and reference materials. Our library includes a large assortment of books gathered from the leaders in gemology and appraisal science.